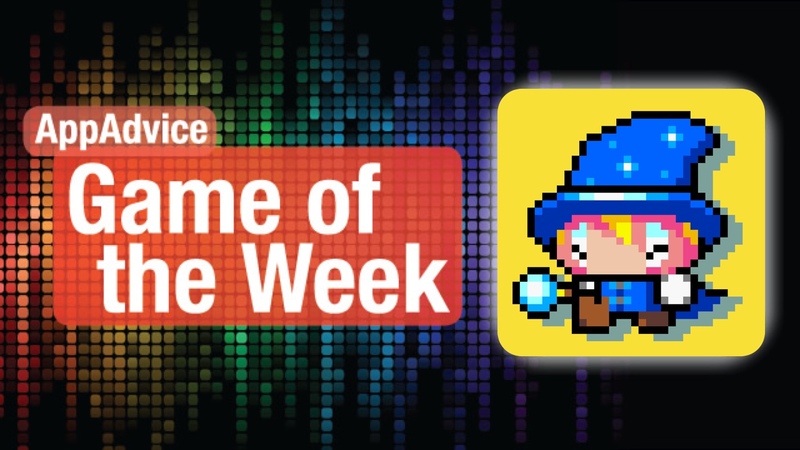 Fall and cast a spell on your foes in our Game of the Week! In the mood for some retro arcade game action? Then you don’t want to miss out on our Game of the Week, Drop Wizard by Gionathan Pesaresi. Drop Wizard was made with fans of the 16-bit gaming era in mind with the awesome pixelated graphics and quirky chiptune soundtrack. The game is sure to keep you entertained with the bright and colorful levels, and the control scheme is as simple as they come, with just two buttons for moving left and right. There are 10 different areas in the game for you to drop your way through, and each area has several different stages and boss battles. The goal for each level is pretty straightforward: survive by eliminating all enemies that stand in your way of rescuing your friend who has been turned to stone by an evil warlock. But things are easier said than done given the game’s unique mechanics. Teo the Wizard moves forward automatically, but you’re in control of the direction he runs in. As he drops onto a platform, he shoots a star from his wand, which stuns enemies who get hit by it. But since the only time he can attack is when he drops, you have to plan your movements carefully in order to get rid of your foes. Running into a stunned enemy launches them around the stage, and they can knock out other enemies in a snowball effect. Gems, coins, and fruits will appear after successful combos that you can collect for more points, and more points means more stars. If Teo falls at the bottom, he just drops back in from the top again. We will always have a soft spot for retro arcade games here at AppAdvice, so we have been pleased with Drop Wizard so far, as it’s a nice throwback to the 16-bit era. 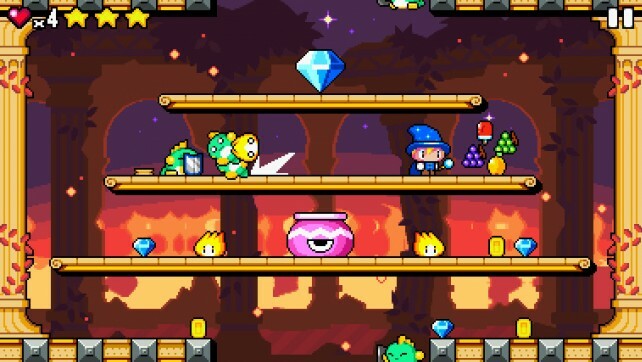 If you enjoy a challenging arcade platformer, then you should check out Drop Wizard. You can get it on the App Store as a universal download for $1.99. For more about Drop Wizard, make sure to check out my full review. Roll, defend, and blast your way to the finish in our Honorable Mention pick this week! 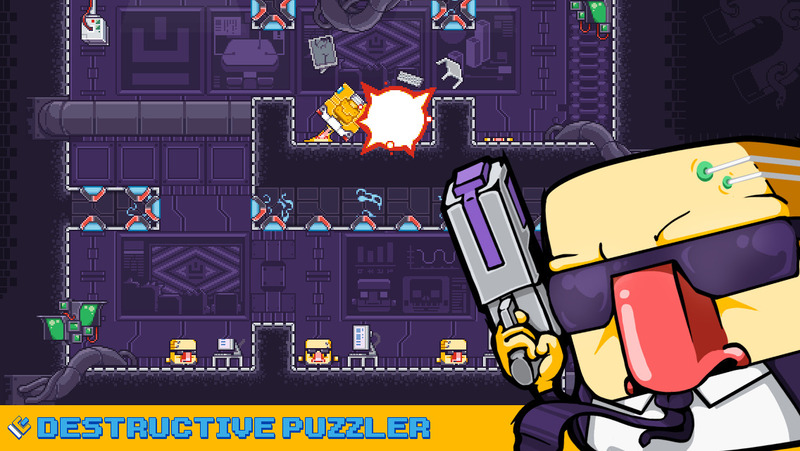 Feel like giving your brain a workout with an action-packed puzzle platformer this weekend? Then you should check out Gunbrick by Nitrome. Gunbrick is another title this week that sports a 16-bit pixelated art style that will pull at the heartstrings of gamers everywhere. Despite the vintage graphics, Gunbrick is incredibly detailed in environments, objects, characters, and has smooth animations. The chiptune soundtrack is also a joy to listen to, and the sound effects are a blast. In Gunbrick, you’re in charge of helping the main character navigate the Gunbrick, which is a cube that has a gun on one side and a shield on the other. The gun can be used to blast through obstacles and opponents, while also propelling you left, right, or even up. The shield protects you from hazards like fire. To move the Gunbrick, just swipe in the direction you want to move in, and tap on the screen to shoot. If you want to use the shield, just make sure that the cube lands on the shield when you need it to. The game has over 30 levels where you have to figure out the path to get to the large charging port for your Gunbrick at the end. Things start out easy enough, but become trickier as you advance. Puzzle platformers are some of are favorites here at AppAdvice, so we have been thoroughly enjoying Gunbrick over the past few days. If you like a platformer game that makes you think, then this is worth a look. You can find Gunbrick on the App Store as a universal download for $2.99. For a closer look at Gunbrick, don’t miss my original review.